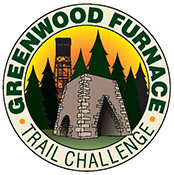 The approximate 13 mile figure 8 trail course will start at Greenwood Furnace State Park, traverse Rothrock State Forest to Alan Seeger Natural Area and back to the park. The route will be marked with orange flagging and volunteers will be stationed at all road crossings. The course features two brutal ascents and descents with some recovery in between. The trails include a stream crossing, 3 footbridge crossings, rock gardens, mud, and some nasty scrambling.